Original publicity still for Hatari (1962). Howard Hawks head may be in the bottom right hand corner. He made the film in Tanzania, Africa, far away from interfering studio executives. 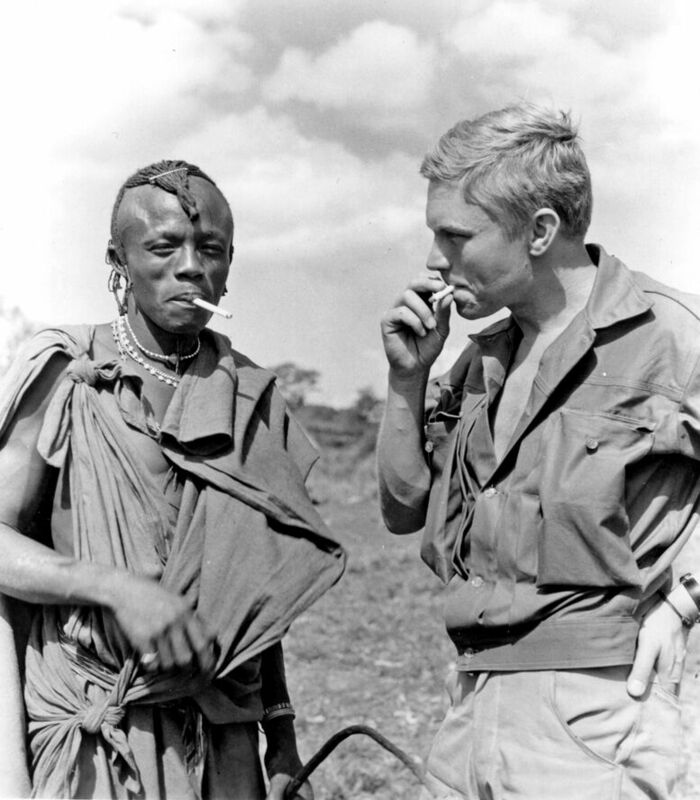 Hardy Kruger takes a smoke break with a member of the Warusha tribe on location in Tanganyika for Hatari (1962).